Medjool: A Date to Remember Considered the diamond of dates, Medjools are prized for their large size, extraordinary sweetness and chewy texture. 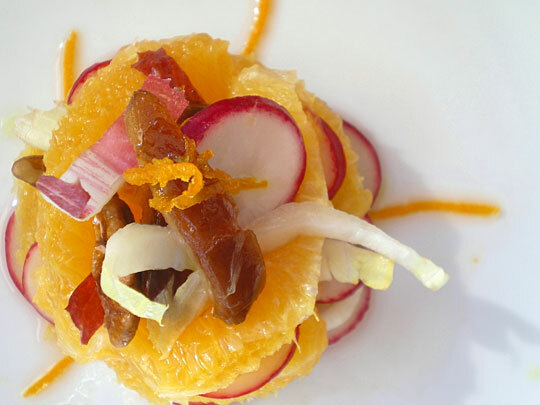 For blogger Susan Russo, there are few foods as delectable as fresh Medjools. She shares her favorite ways of enjoying them. Recipes for a citrus and date salad; roasted butternut squash with dates and almonds; date shakes; and apple, date and ginger snap crumble. Ancient cultures called the date palm "the tree of life," and used all parts of the tree, from the trunk to the leaves. Susan Russo is a food writer in San Diego. She publishes stories, recipes and photos on her cooking blog, Food Blogga. When she isn't writing about her Italian family back in Rhode Island or life with her husband in Southern California, she can be found milling around a local farmers' market buying a lot more food than two people could possibly eat. My parents recently celebrated their 44th wedding anniversary. Like all marriages, they've had their for-better-and-for-worse days, but one thing they haven't had is secrecy between them. Until now. And it's all my fault. I sent my mother some fresh Medjool dates, and she's hiding them in the refrigerator behind a bottle of Limoncello that is rarely moved. I can't blame her; there are few foods as delectable as fresh Medjools. Considered the diamond of dates, they are prized for their large size, extraordinary sweetness and chewy texture. I used to think of dates as Christmas food, stuffed with walnuts and dusted with confectioners' sugar. They were good, but I would only turn to them once the supply of Christmas cookies was exhausted. That changed on Oct. 6, 2004 — the day that date samples were available at the farmers' market in Santa Monica. Walking by the table, I instinctively took a piece and walked on. I took one bite, turned around and walked back upstream to buy a two-pound box of the biggest, softest dates I had ever seen: Medjools, for which the season starts in September and continues through November. Dates are considered the oldest cultivated fruit in the world: Fossils show date palm trees thrived 50 million years ago. The fruit of the date palm was eaten as far back as 5,000-6,000 B.C.E., and they've been cultivated for about 6,000 years in the Middle East. 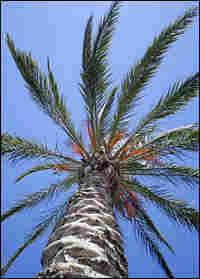 Ancient cultures called the date palm "the tree of life," and used all parts of the tree, from the trunk to the leaves. Dates are still a staple source of nutrition for nomadic peoples because of their high carbohydrate content, high potassium levels and easy portability. Most U.S. dates — 95 percent — are grown in California's Coachella Valley, a two-hour drive northeast of San Diego. Dates grow well there and in parts of southwestern Arizona because they like hot heads and wet feet. That is, they grow best in areas with high heat, low humidity and an abundant supply of groundwater. Dates have been in California since the 18th century, when Spanish missionaries planted date palms around their missions. It wasn't until 1927, however, that Medjools arrived. That year, disease was destroying Morocco's Medjool crop. Walter Swingle, an American horticulturalist, brought 11 Medjool offshoots back to California from Morocco. Nine of the eleven survived and have become the source of the millions of Medjool dates grown today. Among the Medjool's many nicknames, "king of dates" is most fitting. Once reserved for Moroccan royalty and their guests, they were a precious confection and remain so today. Like many delicacies, Medjools are pricey because their cultivation is a complex and labor-intensive process. Although date palms are naturally pollinated by wind, growers must hand-pollinate each tree to ensure adequate yield. A worker climbs the same 40- to 50-foot-high tree many times during the Medjool season. First, he trims the tree's dangerously sharp 4- to 5-inch-long thorns. Then he removes most of the dates to increase the air circulation and sunlight they need to reach optimum size. Soft dates such as the Medjool are so delicate that most are picked individually by hand rather than in large clusters. I try to remember this when I'm shelling out $10 a pound for Medjools at the farmers' market. This season's crop is currently available at supermarkets and online. They range from $6 to $10 per pound, depending on their size and quality, and come in grades: choice, soft, fancy, large and jumbo. In this case, bigger is better. Splurge and go for the jumbo. There is one caveat regarding Medjool dates: They are addictive. Eating too many of these sugary jewels can induce a hyperglycemic laziness (this is a benign condition which a brief nap will remedy). So I offer you the following three suggestions: 1. Pace yourself. 2. Leave the pits in full view so you can keep count of how many you've eaten. 3. Ask somebody else in your house to find a good hiding place for the remaining dates and swear not to tell you. I have now blown my mom's cover, and her box of dates has no doubt been found and its contents ransacked. I have mailed her another box. She tells me there is an old bottle of champagne in the wine cellar and there is plenty of room behind it. To make individual salad stacks, place radish slices in a circle in the middle of a plate. 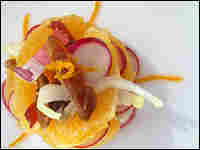 Then build up as you go, adding oranges slices, endive slices, celery slices and leaves, dates, pecans and fresh mint leaves. Repeat with remaining three dishes. Drizzle with dressing, and garnish with orange zest, celery leaves or mint. 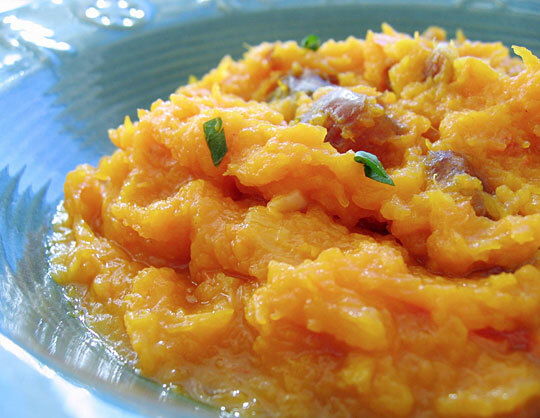 Any type of winter squash would work well in this recipe, though I prefer the sweet and meaty varieties of butternut and acorn. Roasting the squash causes its natural sugars to caramelize. With sweet, chewy dates, spicy cinnamon and toasted almonds, you could practically call this dessert. OK, even I don't believe that. Just eat this, then have a date shake. To toast the almonds, preheat oven to 350 degrees. Spread almonds in a single layer on a baking sheet. Bake for 8 to 10 minutes or until slightly golden and aromatic. Raise oven temperature to 375 degrees. Slice the squash in half, scoop out the seeds, and place face down on an aluminum foil-lined baking sheet (for easy clean up) for 45 to 50 minutes or until tender when pierced with a fork. Remove from the oven and let cool. Scoop out the cooked flesh and set aside. Meanwhile, in a large skillet over medium heat, saute shallots in butter until slightly caramelized. Add brown sugar, lemon juice, lemon zest and cinnamon. Add the cooked squash and mix well by hand. 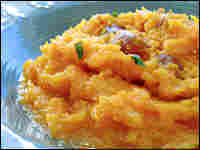 (You can puree it at this point if you like, but I prefer a few lumps). Stir in the dates and heat through for about 1 to 2 minutes. Remove from heat. Add toasted almonds, parsley, salt and pepper. Garnish with more almonds and parsley before serving, if desired. If you find yourself driving along Highway 111, known as "The Date Highway," in the Coachella Valley, then you will see dozens of billboards advertising "world famous date shakes." Stop and get one. You won't be disappointed. If you're not planning on being on Highway 111, then here's a recipe you can make at home. 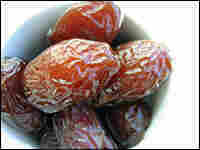 Though some date shakes are made with date sugar or date crystals, I prefer actual dates. Since Medjools have a thinner skin and plumper flesh, they're ideal. Have a spoon nearby to scoop up any date pieces that fall to the bottom of your glass. 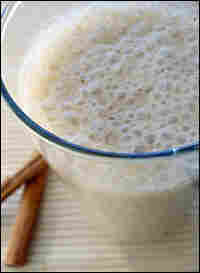 Place dates and milk in a blender; blend on high until smooth, about 30 seconds. Add ice cream and blend another 15 to 20 seconds on low so the ice cream doesn't melt too much. It should be thick and frothy. I love date shakes for breakfast but not with ice cream. 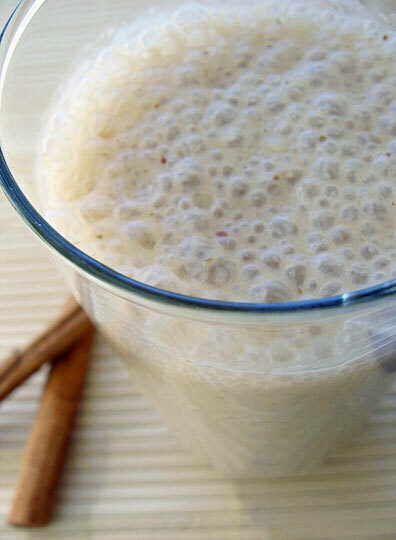 In fact, by adding some protein powder, you can turn this into a great post-workout drink. Place dates and milk in a blender and blend on high until smooth, about 30 seconds. Add banana, cinnamon and protein powder (if using). Blend another 15 to 20 seconds on high until thick and frothy. To me, this homey date and apple crumble is like autumn in a bowl. 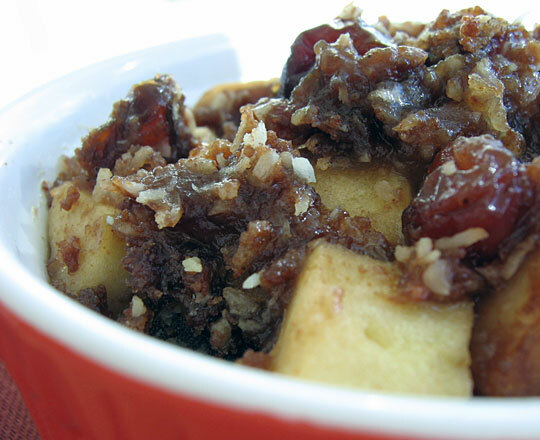 Rich Medjool dates pair wonderfully with sweet-tart Fuji apples and plump golden raisins. The topping, made from crushed gingersnaps, shredded coconut and crunchy pecans, is just what the fruit needs. Some vanilla ice cream on top wouldn't hurt either. Though dried dates could be used for such a dessert, I prefer the softness of fresh ones. If you do use dried, then I recommend softening them for a couple of minutes in some hot water before adding them to the apple mixture. I used six individual ramekins (5 inches wide by 2 inches deep), but this can easily be made family style in a 9-inch pie plate or baking dish. Coat the ramekins with cooking spray, and place them on a parchment-paper-lined baking sheet to catch any drips. 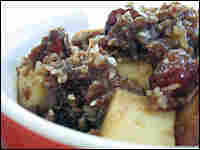 To make the topping, add the ginger snaps and pecans to a food processor and process until coarse crumbs form. Pour gingersnap-pecan mixture in a large bowl and add brown sugar, flour, coconut and butter. Using a pastry blender or fork, blend until the mixture is crumbly. Set aside. To make the fruit filling, simply toss all of the ingredients together in a large bowl and mix well by hand. Transfer the fruit to the ramekins (or pie plate) and add an equal amount of topping to each. Bake for 35 to 40 minutes or until the fruit is bubbling and the topping is golden brown and crispy.